Orlando could be playing second fiddle to the deserts of Dubai in the coming years if recent headlines come true. With new theme parks opening by the end of 2016 and a slate of a half dozen in the coming years (and counting), that could be the case. Let’s take a look at what Dubai and the surrounding area might look like in the coming years, shall we? While not exactly in Dubai, an hour away is the United Arab Emirates, which is still considered part of this region. 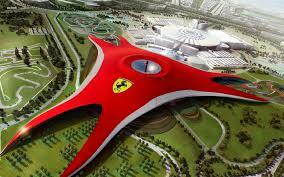 It is home to the Ferrari World Theme Park, which opened in 2007. The park features the fastest roller coaster in the world, Formula Rossa, which opened in 2010. Most recently, Sea World announced they would be opening their first theme park outside of North America in Abu Dhabi as well. The company is touting that this will be their first orca-free theme park and will be prominently located on Yas Island, adjacent to the Ferrari World park. Like all Sea World parks, they will feature up-close animal encounters and a rehabilitation center, in addition to E-ticket rides and attractions. The park is expected to open by 2022. Just around the corner is a park already under construction and is expected to open by 2018. 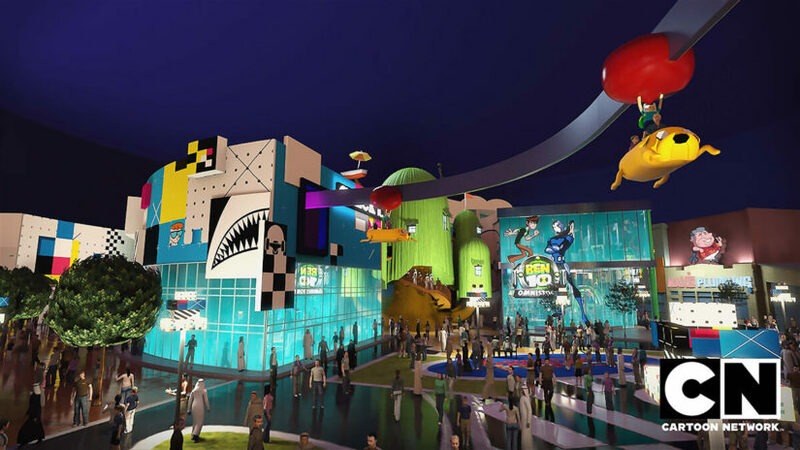 Warner Brothers World Abu Dhabi will put classics like Bugs Bunny and Scooby Doo together with DC Comics characters such as Batman and Superman all under one climate-controlled roof. 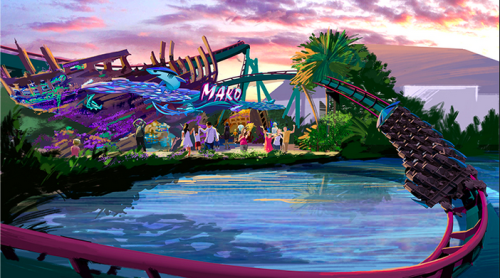 The all-indoor theme park will feature original rides, retail and merchandise shops. Crossing my fingers more info gets revealed soon! 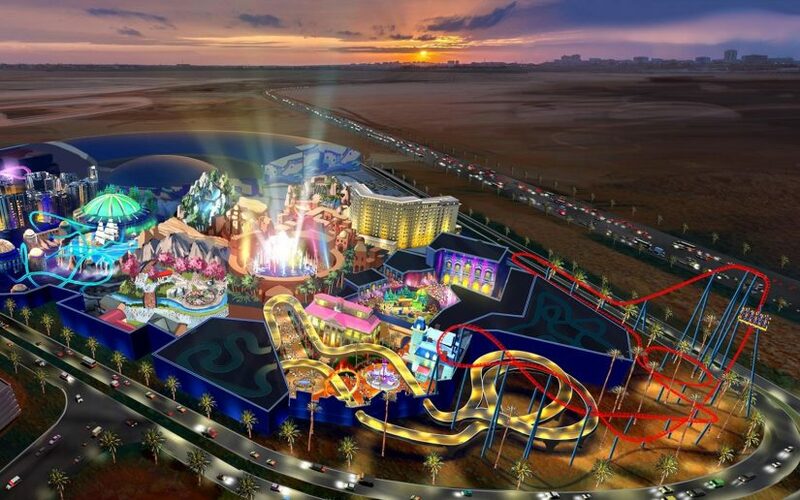 In Dubai, there is an absolute ton of work being done in the theme park industry. Opening by the end of 2016 are three different parks that we have been teasing here at Theme Park University for months. 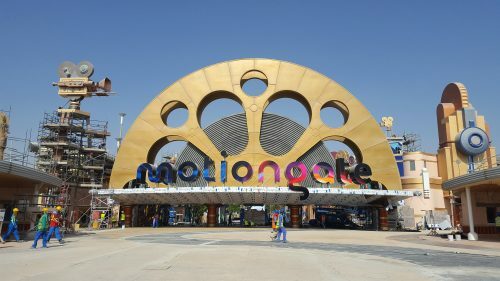 Motiongate Dubai will feature areas from Dreamworks, Sony Entertainment, Lionsgate and more. 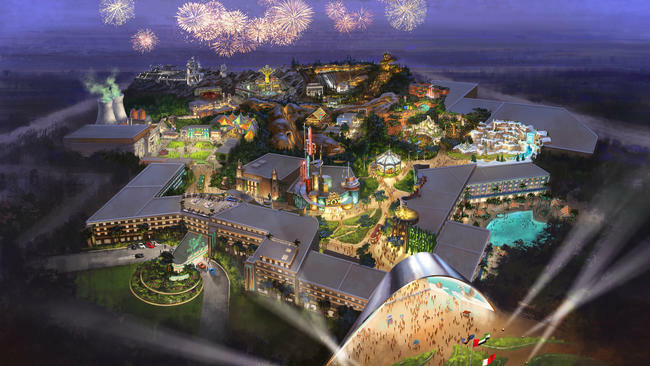 However, this is only a part of an enormous theme park complex known as Dubai Parks and Resorts. 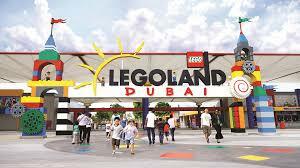 In addition, a Legoland Dubai theme park (and accompanying waterpark) have also opened in this area bringing Legoland’s brand of kid-friendly attractions. Also opening in tandem with Legoland and Motiongate is Bollywood, an entire theme park devoted to the regions most famous film genre and attractions inspired from those classics. Other well-known names in the theme park industry are also jumping on the Dubai train. 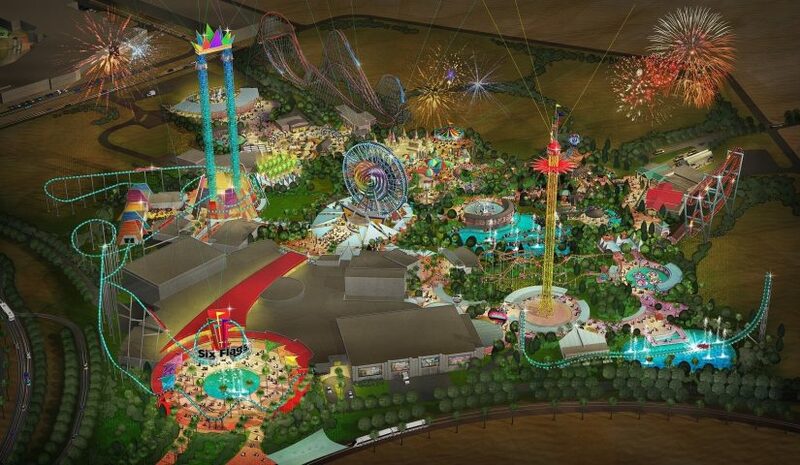 Six Flags Dubai is scheduled to in 2019 and while formal details haven’t been announced, the site has broken ground. However, all signs point to attractions being imported from the United States to be pieced together to create this unique park. Then there’s Fox World Dubai, which will be an $850 million, 75-acre park which (from my research) hasn’t scheduled an opening date yet. The park will feature attractions from films such as “Titanic,” “Ice Age,” “Aliens” and more. Specifics have not been announced. Only the above concept sketch has been released. Finally you have the recently opened IMG Worlds of Adventure, which features a mix of Marvel and Cartoon Network attractions. The world’s largest indoor park opened in October 2016 and has already announced a sister park slated to open by 2020 known as IMG World of Legends. IMG World of Legends will feature nine themed zones with seven of them using intellectual properties from companies like Mattel, Nickelodeon, Viacom and Ubisoft. Specific details on attractions have not been announced and the sister park would be accessible via covered walkway from the current Worlds of Adventure park. 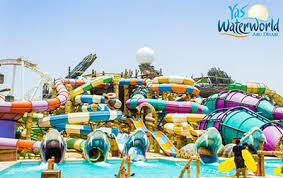 In addition, there are several water parks and smaller amusement parks that I didn’t even mention in this article that are already operating or coming soon. Why the sudden push to open all these parks in an area that isn’t proven to sustain all of these tourists long term? Which ones will survive and who won’t see the light of day? We will cover that next time. This entry was posted in Theme Parks 101, Uncategorized and tagged Dubai, Fox Studios, motiongate dubai, Sea World, Six Flags, Warner Brothers. Bookmark the permalink. Trackbacks are closed, but you can post a comment.